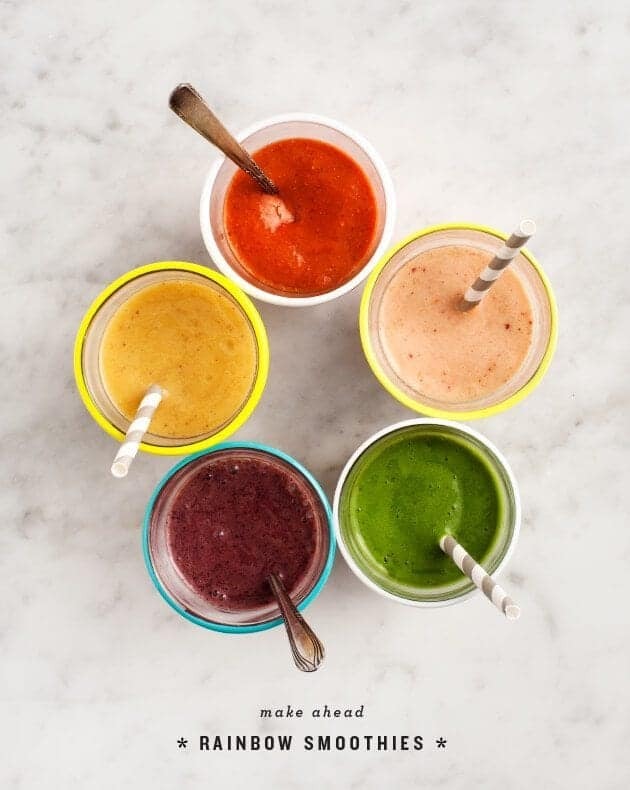 Learn how to make 5 different fun and healthy breakfast smoothies! These cool, refreshing smoothies are my go-to start to a summer day. Let’s eat the rainbow! 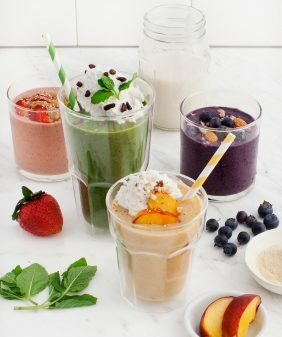 Or, with these breakfast smoothies, drink the rainbow through a straw (or scoop it up with a spoon… how you like to enjoy your smoothie is really up to you). Today we’re continuing our “grab & go” series with Almond Breeze, (see parts 1, 2 and 3). 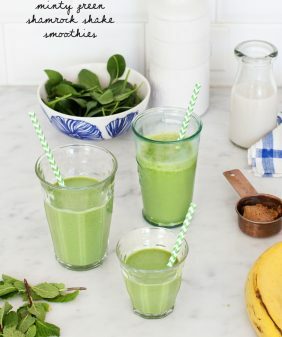 The idea with these breakfast smoothies is that you assemble all of your fruits & vegetables ahead of time so that your morning smoothie is fast and easy to make. Chop up your fruit (and veggies if you want a green one), and pack them away in freezer-safe containers or baggies – I made enough for 5 days a week – because weekends are for waffles. Pour in enough almond milk to get your blender moving – and then go get moving! It’s time to start the day :). Happy Monday! 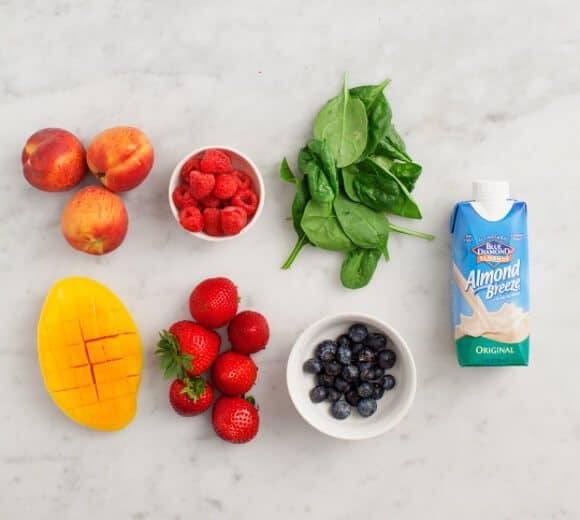 Prep fruits and veggies ahead of time to make blending these healthy, filling breakfast smoothies a breeze on busy mornings. Vegan, gluten-free. Assemble ½ banana into each freezer container (or freezer safe baggie). Add fruits/vegetables, then place your containers into the freezer until you're ready to blend each one. 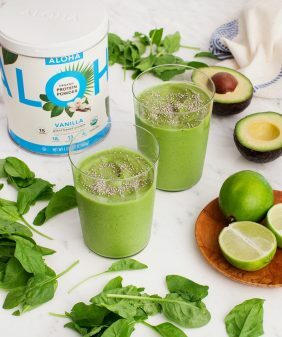 Blend each smoothie with a few pieces of ice and ½ cup to ¾ cup almond milk (enough almond milk to get your blender blade moving). Blend in "extras" (goji berries, almond butter, maca, matcha, cacao) at the end. I use a Vitamix - if your blender isn't as powerful, let your frozen smoothie ingredients thaw at room temp for just a few minutes. Such a good idea! I often skip the morning smoothie because I’m rushing out the door – I totally need to start doing this (that way there is no excuses). 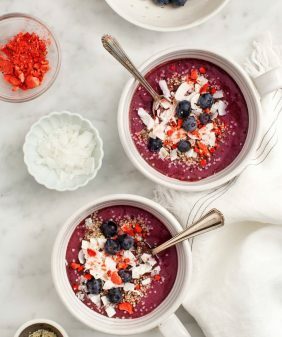 The Cherry Blueberry Cacao combo sounds especially delish! I adore these tall glasses of color! Veggies for every meal has never sounded so lovely. 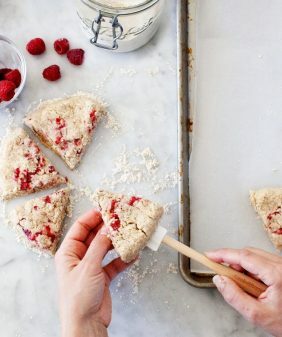 This is not only the ultimate guide to smoothing making/pairings but also a great motivation for prepping ahead and portioning so they’re easy to make in the morning. Love the cherry cacao and strawberry goji combo! I love the idea of freezing up individual containers. Especially now when all the fruit is ripe. Thank you for the idea. Oh man I need a blender!! So pretty! I want to try to peach one ASAP! Yummy, yummy! I love smoothies and all its possible variations. Besides healthy and delicious, they are so pretty! What a wonderful time saving idea and great way to preserve nutrients in fruit and veg that might otherwise go off. Looking forward to trying the Mango Maca! Thee are so pretty! Love those colors. Can you use dried goji berries for this? I could only find dried goji berries or goji berry powder at the local whole foods. Thanks! yep, they ones I used are dried (I’ll edit this to mention that). And I didn’t freeze them with the other fruit, just added them in at the end. Such a beautiful, colourful post! It’s so easy to eat healthy when the food looks as beautiful as this! I love it! So beautifully displayed and a great reminder that prepping ahead is always a good option for a healthy grab and go breakfast. That peach smoothie looks fantastic. It’s almost peach season here in Oregon. I nice added touch would be just a tiny splash of almond extract. So yummy with peaches! Love all these beautiful colors. And such a great idea to get everything together and streamlined as possible, so you’re ready to go on the weekday morning. Thanks for the inspiration! Oh, yum… love this post! So many great smoothie ideas! Yum! Love this! Quick question…did you freeze them in those glass containers? Yes, but these containers happen to be freezer safe. (You could also freeze your ingredients in plastic baggies if you wanted). 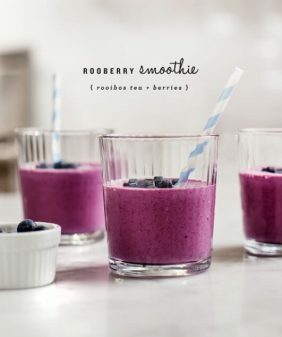 I love smoothies but never make them. These sound delicious. I am, however, very allergic to bananas and never know what a good substitute would be. Do you have any recommendations? where did you find these glass containers? I find them extremely adorable and they also will be extremely useful for college so i wanted to get some.